UPDATE: Portland police identify the victim in the fatal Wednesday crash in Northeast Portland. A motorcyclist was killed in a collision with a semi-truck on Northeast Marine Drive on Wednesday afternoon. The victim has been identified as Thomas M. Sciborski, 48, of Portland. A member of the Oregon State Medical Examiner's Office determined Sciborski's death was a result of injuries suffered during the traffic crash. There have been no citations issued or arrests made as a result of this investigation as of Friday morning. The death was the 25th traffic fatality of the year. By the same time last year, 32 people had been killed in crashes. According to police, at 2:23 p.m. on Oct. 10, Port of Portland Police Department Officers responded to the 8300 block of Northeast Marine Drive on the report that a motorcycle and semi-truck crash. When officers and emergency medical personnel arrived, they located a deceased adult male motorcycle operator lying on the roadway. Members of the Portland Police Bureau Traffic Division's Major Crash Team responded to assume the investigation. 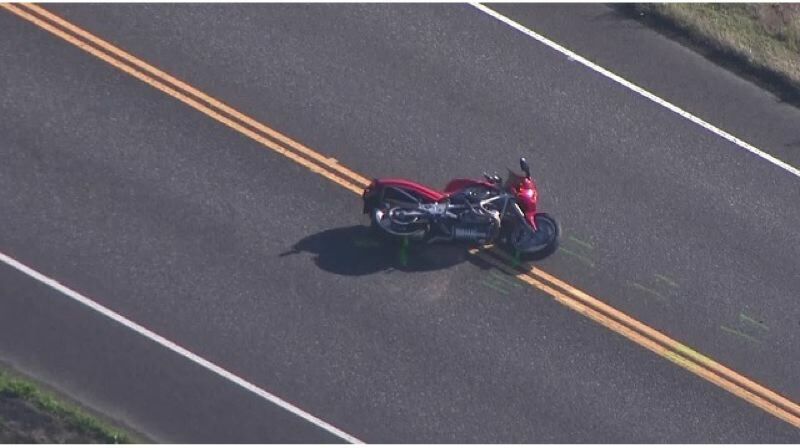 Based on the initial investigation, officers believe the semi-truck driver was driving west on Northeast Marine Drive and the motorcycle operator was traveling east on Northeast Marine Drive. Information learned suggests the motorcycle operator left the eastbound lane, attempted to correct his direction of travel, lost control of the motorcycle and collided with the semi-truck. The driver of the semi-truck remained at the scene and is cooperating with the investigation. At this time, officers believe speed was a factor in this fatal traffic crash.